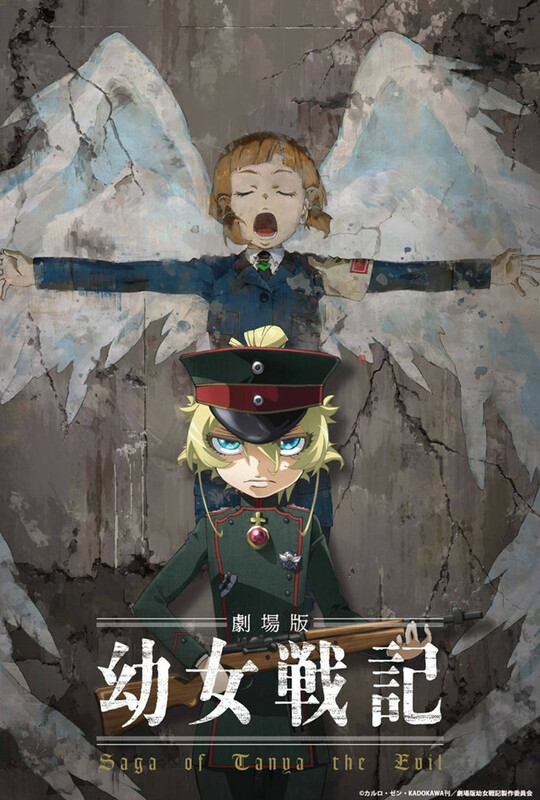 The upcoming anime film of the adaptation of Carlo Zen’s military fantasy light novel series Youjo Senki/The Saga of Tanya the Evil has put out a new 30-second teaser trailer. The official website for the has put the date of the official release of the film as on February 8, 2019 in Japan. The main staff and voice cast members of the 2017 TV series will be returning for the film. The 12 episode TV anime series The Saga of Tanya the Evil by NUT is available on Crunchyroll. The anime series has a very good rating on MAL. The story centres around an young infamous soldier Tanya Degurechaff. Her ruthlessness and uncanny attitude earns her the title ‘Devil of the Rhine.’ But things are not as plain as they seem. Tanya is actually a reincarnation of a man who challenged Being X, the self-proclaimed God, to a battle of wits. With her country plunging into war, Tanya decides to climb up the ranks of her country’s military in order to recreate the peaceful life she once knew. And yet again, Being X becomes her biggest obstacle. Do let us know if you have watched the anime series in the comments section below. As a military fantasy series, this is going to attract the psychological anime fans and if you are one do give it a try.